As we know, Zenimax Online Studios has pulled the curtain off of Elsweyr, the 2019 Chapter coming to The Elder Scrolls Online. 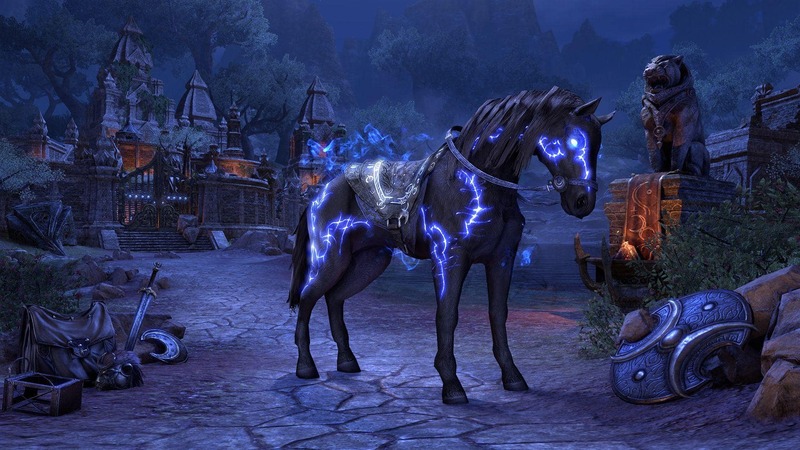 Aside from the big Twitch stream reveal of Season of the Dragon and everything that entails (so far), the Elder Scrolls Online official website also updated, including a page all about how to give Bethesda your money for the new content. It’s available now in several editions, and naturally there are extra goodies associated with preorders. Before we even get into the different editions you can get, there’s also some additional details if you preorder digitally. If you pick up the digital versions of either the Collector’s or Standard edition, you’ll get instant access to the Elder Scrolls Online base game, as well as the Morrowind and Summerset Chapters. The former will come with the Collector’s Edition content for the other Chapters too. This deal will continue after Elsweyr launches, but now’s your chance to catch up if you’re new. All digital preorders will also come with Rahd-m’Athra, the mount pictured above. Digital preorders get the mount right away, while physical purchasers will have to wait. That’s a wrap. As a reminder, Elsweyr is set to drop on June 4, 2019.